Let' review a shirt press machine! A high quality finishing obtainable more easily. ・Saved energy consumption deriving from a compact size cylinder (compared with our previous model). ・Achieved a compact design in spite of inheriting a high quality. ・It is possible to save a capital investment cost with an affordable price range. ・Reduced a finishing process time by speeding up a dummy moving etc. 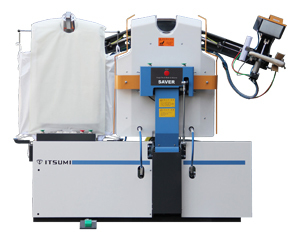 ・Achieved a high quality finishing by means of the press system featuring a reputed form finisher and a high temperature airbag attached to an upper model. ・Raised substantial productivity by curbing a retry by means of additional introduction of a rearview mirror and a timing adjustor. ・Reduced a failure rate of a pneumatic equipment by adding a drain filter. ・It is possible for anyone to replace a pad, a cover and an airbag easily in a short time. ・Achieved a long life by means of a fusion of a simple tidy design and a robust structure.